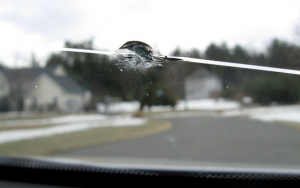 When your windshield becomes damaged, you don’t always need to have it replaced. If your windshield has a small chip, you can avoid the cost of a windshield replacement by having a windshield repair, Columbus, Ohio, by one of our professionals. When you get a chip, all it takes is a small bump in the road to cause the chips to spread like a spider web. These cracks spread across your windshield, sometimes as much as the entire length or width, and in bad cases, both. If you get the chip treated before it starts webbing or at the first sign of webbing, the windshield can often be saved. Once the webbing has spread, the chances of repair become lesser. Having a windshield repair, Columbus, Ohio is a very quickly and cost effective service and is often covered by insurance. If windshield repair is not covered by your insurance, no worries! With our competitive pricing, you’ll still be able to afford a windshield repair, Columbus, Ohio. Don’t take a chance of having to replace your entire windshield when it can be avoided. Chip repair is a very inexpensive process and can save you upwards of hundreds of dollars of the costly price of a whole new windshield replacement. Don’t take another ride in your car before you get a chip repair! You never know what bump will cause your windshield to web beyond repair! Give our experts at Harrs Auto Glass a call today and speak to one of our glass experts. They are happy to answer any questions you may have and even schedule you an appointment if that’s what you decide to do. When you’re in the market for windshield repair, Columbus, Ohio, look no further than Harrs Auto Glass. Our professionals will take care of all of your auto glass needs.